This is Mrs McFadden of Dunoon who will celebrate her 100th birthday in November. Far from sitting back and taking her ease, Mrs McFadden is rarely without her crochet hook, busy making beautiful baby blankets in pastel colours which she gives to the Raven Trust to send to Malawi. She was pictured at the hairdresser’s, busy with her hands as usual. Her friend, Mrs Hart, is equally busy with her knitting needles making baby clothing. 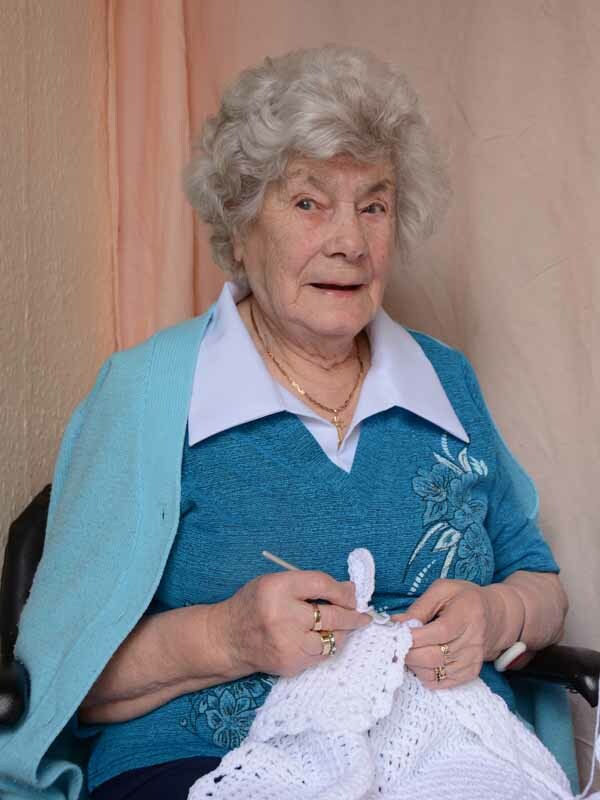 More knitting and craft work comes to us through Christine Harding from Strachur who volunteers every week with Maggie’s Centre at Gartnavel Hsopital, Glasgow. Maggie’s Centre offers practical, emotional and social support to people with cancer and their families. One of their weekly sessions sees volunteers and clients getting together to chat while doing handcrafts which are sometimes sold to raise funds for the centre while some come back with Christine to be sent to Malawi. The Raven Trust and the recipients of these gifts in Malawi are very grateful for all this beautiful work.